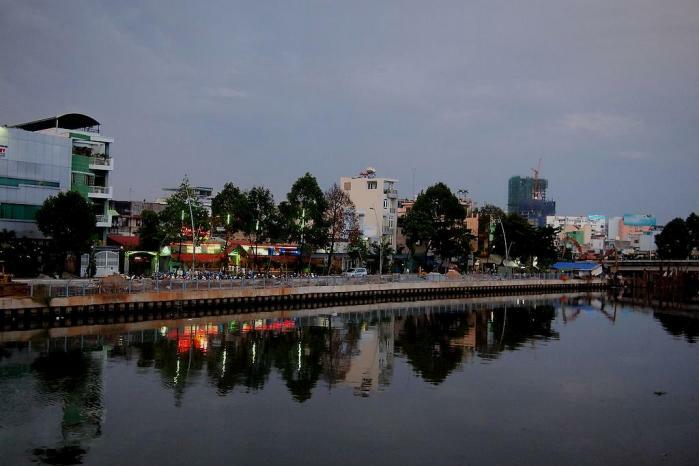 Facing towards Bình Thạnh district side. I recently found this bank protection construction is a part of World Bank project. Actual construction is scheduled to finish June 2013. Panolamic view at night time. Double click for full size photo.